Steelwater gun safes offer the quality and durability that gun owners have come to expect when buying a safe for their firearms. Made with 12-gauge steel and equipped with high-end locks, these safes are a tough nut to crack. They offer resistance from the elements, too. You’ve read enough gun safe reviews to know that Steelwater offers some of the best models on the market. Let’s see what makes their safes so special. Why Choose Steelwater Gun Safes Over the Competition? There are so many gun safe manufacturers out there. Why choose Steelwater over the competition? All of Steelwater’s gun safes come with four pre-drilled anchor holes (1/2″). Being able to secure the safe to the ground without having to make any modifications is a welcomed feature. Steelwater actually recommends securing the safe to the floor for both added security and for warranty purposes. The company doesn’t include the bolts needed to anchor the safe to a concrete or wood surface, but you can purchase these items separately. Steelwater safes aren’t waterproof, but most models can sustain water sprays from fire hoses and overhead sprinkler systems. Their safes also offer fire protection for up to a certain period of time (40 minutes, 60 minutes, 120 minutes, etc.). In case of a fire, you can find peace of mind in knowing that your safe can at least withstand the messy, wet process of extinguishing the flames. Steelwater safes come with a drill-resistant hard plate that’s 8x larger than before. The plate protects the lock, gear drive, re-locker and linkages. Most safe models come equipped with a 5″ thick composite door. These doors prevent pry bars from being able to apply force under the door. The safes from Steelwater come with 18, 1-1/2″ locking bolts to maximize strength and security against pry attacks. Steelwater safes are fire resistant up to a certain amount of time. To maximize protection from the heat and smoke, the company’s safes have heat-activated door seals. If there is a fire, the seal will expand to keep smoke and heat outside of the safe. Safes come equipped with internal re-lockers that keep the safe secure if the lock is punched or attacked. Some safe models come with steel-reinforce shelves. These have steel shelving clips and two steel U-channel plates to keep shelves from breaking or sagging. Some of Steelwater’s safes have gear drive linkage systems that protect against punching, prying and even drill attacks. Steelwater gun safes have carpeted interiors to protect your guns from damage. Steelwater equips their safes with LaGard Group II UL Listed locks (3-wheel key). Electronic lock upgrades are also available, which include the LaGard Basic II keypad. One-inch chrome locking bolts help prevent thieves from getting into the safe. The standard lock on Steelwater safes. This is a UL listed group 2 lock that is both reliable and highly secure. The key lock in dial lock allows you to keep the dial locked at “0” to deter thieves. There’s also a day lock option that allows you to use the safe without having to enter the entire combination. Keep in mind that you must still unlock the primary lock to access the safe, and this is not a key bypass system by any means. The LaGard keypad is a UL listed type 1 lock. This digital lock is as reliable as a combination lock, but is more secure. The digital lock option also allows you to set and change your own code whenever you please. Many of the safes from Steelwater have built-in shelving to store accessories and other valuables. These shelves allow for versatile storage options. The additional storage options put Steelwater among the best home safe manufacturers. 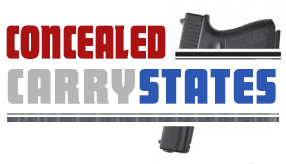 What Types of Gun Safes Does Steelwater Offer? Steelwater offers a variety of gun safes for sale. For 16 Long Guns: Standard EGS5922; heavy-duty SW592216. Both have door organizers, interior LED lighting and one hour of fire protection. For 20 Long Guns: Standard EGS5928; heavy-duty SW592818. Both have door organizers, interior LED lighting and one hour of fire protection. For 22 Long Guns: Heavy-duty LD593024; Xteme duty HD593024. The heavy-duty model has one hour fire protection, while the Xtreme has two hours of protection. For 39 Long Guns: Heavy-duty LD593924; Xteme duty HD593924. The heavy-duty model has one hour fire protection, while the Xtreme has two hours of protection. For 45 Long Guns: Heavy-duty LD724228; Xteme duty HD724228. The heavy-duty model has one hour fire protection, while the Xtreme has two hours of protection. Many of the models come with free garage delivery as well as free dehumidifiers, adjustable tool kits and door organizers. Steelwater also has an electronic pistol safe with a steel construction and mounting hardware to mount the safe onto the wall. With extremely close tolerances to the safe’s body, this model is resistant to door attacks. The pistol safe come with a re-programmable digital user code, electronic keypad and emergency key override.